This Red Wine Chocolate Bundt Cake redefines the definition of chocolate decadence and is simply irresistible! I’m getting all boozy on you today. But first thing first… if you happen to be in San Francisco this week, don’t forget to stop by Farm to Table Food Festival this coming Sunday from 2-5pm in Palo Alto. It’s a free fun-filled afternoon of learning and hands-on doing for the whole family in celebration of the Jewish Food Movement: local, accessible, healthy food; crafted by people who were treated equally, and grown or produced in a way that promotes a healthy, sustainable, and diverse environment. And I’ll be on stage during the Home Cheesemaking Workshop with Louella Holl, so be sure to grab your free ticket here and say hello. And now let’s talk about cake. I love the third Thursday of each month because it’s bundt cake time. This month’s theme is beverages. Quite frankly, I rarely drink soda and my favorite drink has always been water, no ice. The closest to that is probably black tea, Baileys, and Moscato. But the hubs is quite the opposite when it comes to drink. He drinks water a lot, like… a lot! I often hide my water bottle from him, otherwise he would finish it in a split second. And his favorite drinks are bourbon and red wine, which are way too strong for me. As he likes bourbon and red wine, he often buys some to keep at home. The funny part is… he rarely opens it so it’s just sitting there in wine rack. And of course, our collection has grown over the years, and currently it’s more than 40 bottles. Some were inherited from friends when they moved out to a different state, and some were bought during our Caribbean trip last Summer. So I didn’t want to waste those bottles, especially after I found out that the theme is all about beverages. So, red wine chocolate bundt cake, it is! Unlike any other cake, this one is super special… especially that ganache on top. My first thought is having chocolate as an optional ingredient; but I was wrong. Chocolate does make this Red Wine Chocolate Bundt Cake extra yum! So why not add a drizzle here and there, or perhaps cover the whole thing with chocolate? This red wine chocolate cake redefines the definition of chocolate decadence and simply irresistible! Preheat oven to 350F. Grease a 12-cup bundt pan and set aside. In a medium bowl sift flour, cocoa powder, baking powder, and salt. Set aside. In a mixer bowl fitted with the paddle attachment, beat together butter, sugar, and egg on medium-high speed for 3-4 minutes until combined. Scrape down the sides and bottom of the bowl as necessary. Add vanilla extract. Using a spatula, fold the flour mixture in 3 additions, alternating it with the wine in 2 additions (starting and ending with the flour). Add the milk and combine. Do not overmix. Scrape the batter into the prepared pan and smooth the top. Bake for 45 minutes or until a toothpick inserted into the center comes out clean. Allow the cake to cool in the pan for 10 minutes on a wire rack, then turn it out and let it cool completely. Drizzle the cake with chocolate ganache. Chocolate ganache: Place chocolate in a medium heatproof bowl; set aside. 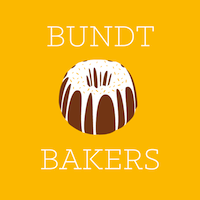 Thanks to Laura of Baking in Pyjamas for hosting BundtBakers this month. Check out these delicious bundt cake recipes and don’t forget to bake some. The dryer the wine and the darker the chocolate, the better the pairing, as is shown in this wonderful, delicious looking bundt cake. I was wondering if anyone would choose wine as their “beverage.” Looks like a great cake to take to a party! That frosting looks ridiculous!! I need it! I love water as well, but that hardly makes for a good cake, eh? 🙂 My husband’s the red wine lover in our family (I prefer white) and yes, I use the leftovers for the occasional wine cake. Yours is absolutely gorgeous. I’ll bet it’s twice as delicious as it looks. I’ve paired red wine and chocolate in pasta sauce so I know it’s a combination that goes very well together. I love this sweet take on it. It would make for an elegant Valentine’s dessert. Wow! I bet this tasted ultra rich and decadent. Sounds perfect :). The cake looks so fudgy and decadent! Linda, I love red wine in my chocolate cake. . it is THE BEST!!! LOVE this cake!!! What a rich and delicious cake! Love the red wine and oh my goodness, that chocolate ganache!!! Swoon! I love to cook with red wine but never put it in a cake before. Your creation looks wonderful. I’ve been seeing red wine dessert all around lately and I am so on board with this! I have been planning on trying it very soon…I just love the sound of it and yours sounds beautiful. Wine and chocolate – what else do you need?! ;D Love your bundt! After I take the cake out of the oven it deflated a bit. The taste was still magnificent and the texture is like a thick rich pudding. Is this normal?